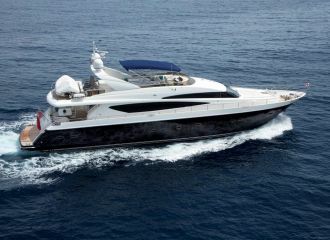 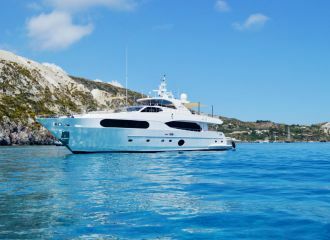 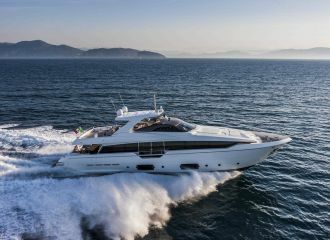 Available for a south of France yacht rental, this Princess 95 is very popular on the charter market. 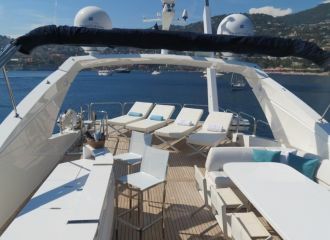 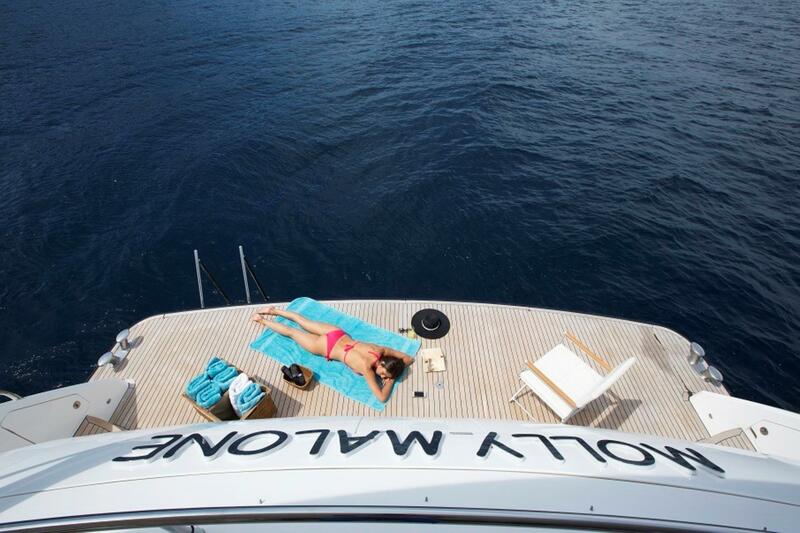 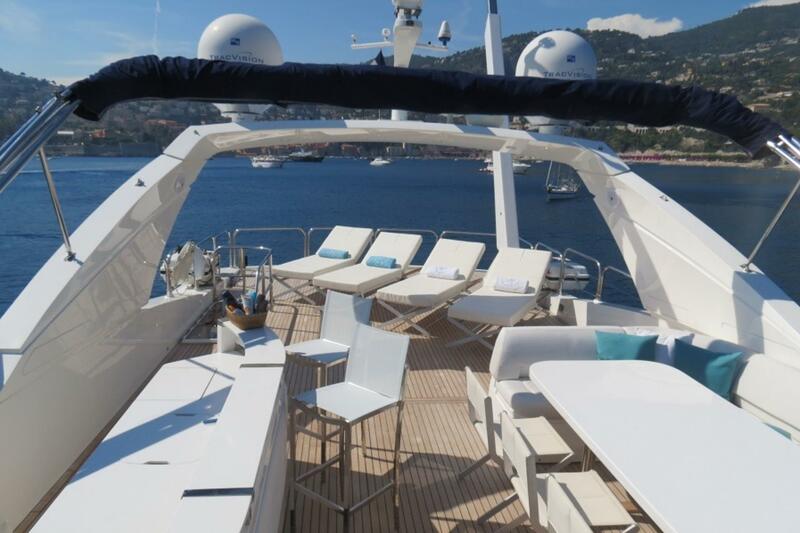 She boasts generous deck space with a variety of relaxing, sunbathing and dining areas to choose from. 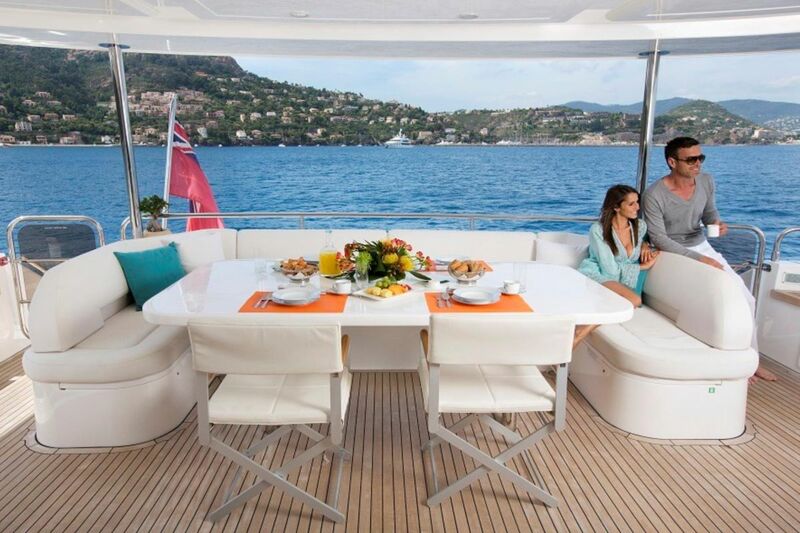 The expansive flybridge is a favourite amongst charterers. 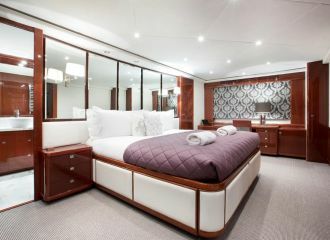 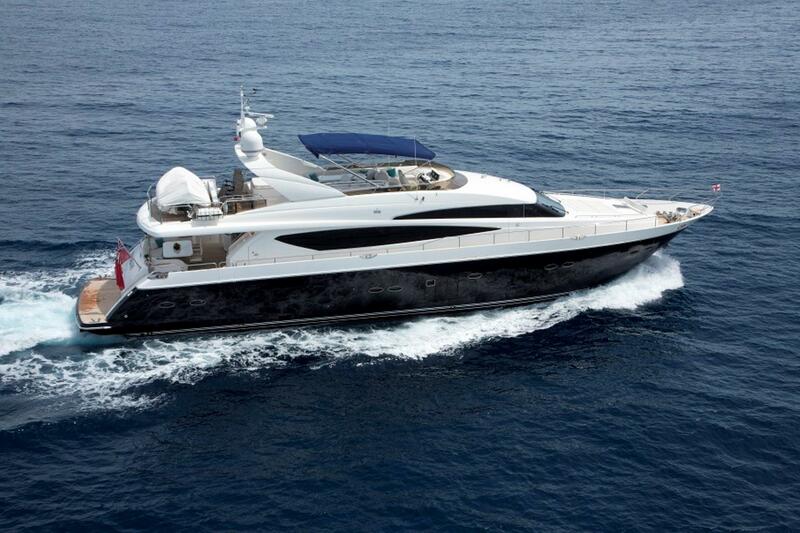 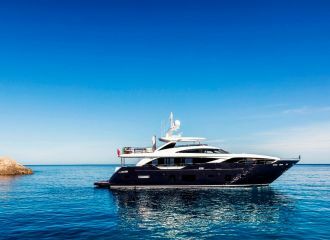 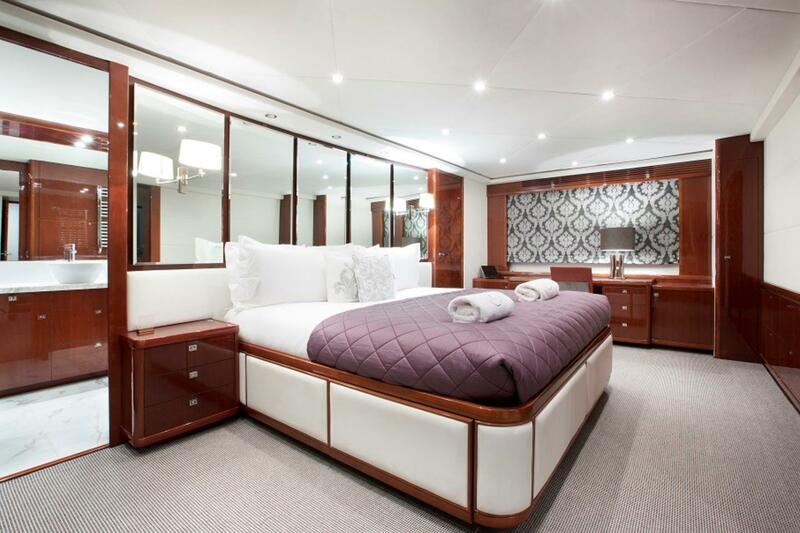 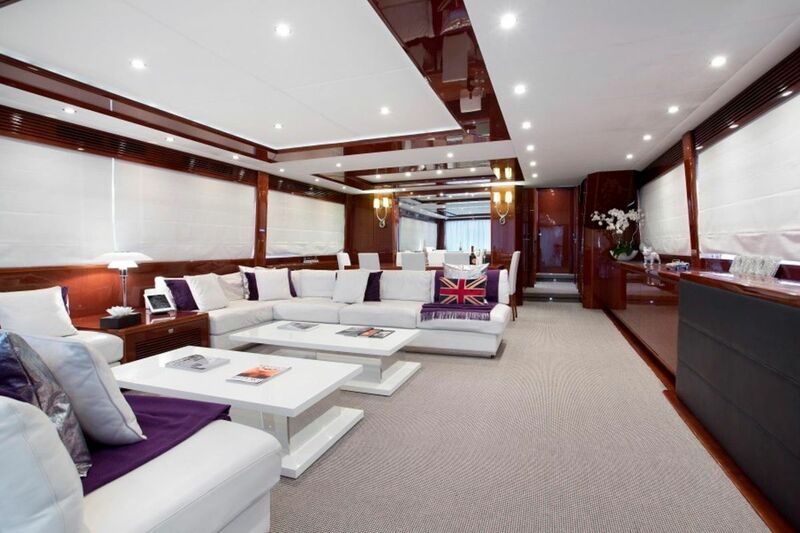 This Princess 95 offers accommodation for up to 8 guests in 4 cabins: 3 double and 1 twin, all en-suite.